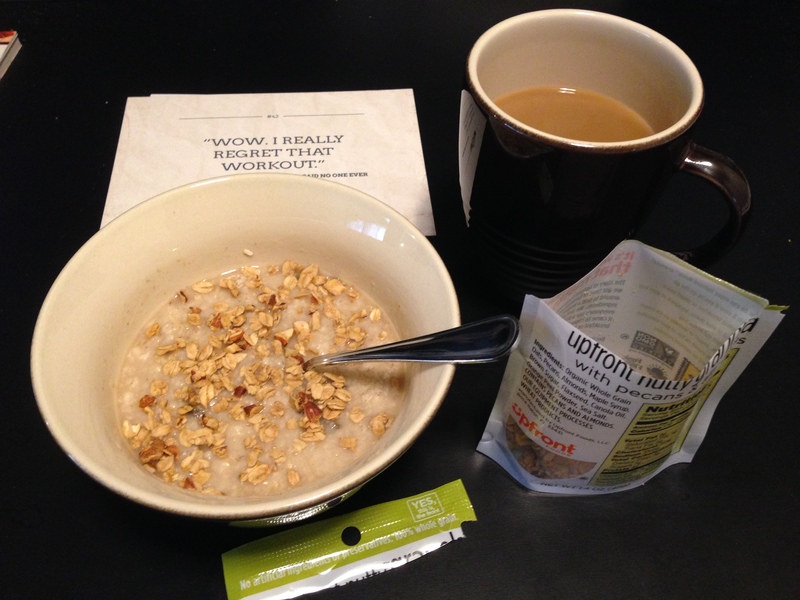 My testing regime consisted of eating the granola in my 2 most common ways, straight out of the bag and in my oatmeal. The first mouthful I took from the bag was honestly like heaven. It immediately reminded me of a fancy assorted nut mixture, certainly not like any granola I’ve tasted before. I actually marveled at its taste to my girlfriend but unfortunately for her she couldn’t enjoy in my excitement as she has a gluten intolerance and according to the website the oats within the granola are not gluten-free. That just meant more tasty granola for me. Next up was sprinkling it over my pre-ride oatmeal. It certainly jazzed up my plain oatmeal with bananas. I usually add maple syrup to my oatmeal to give it some flavor to make it more enjoyable to eat but I added far less than I usually do so as to not drown out the nutty flavors of the granola. Mission accomplished! All in all I’m very impressed with the Upfront Nutty Granola. Not only is it a convenient size but it also tastes damn good too! 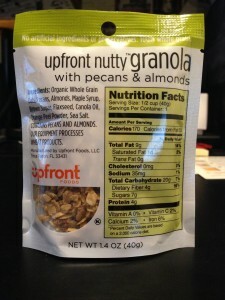 If nuts aren’t your thing they also make a “straight up granola” and a “straight up granola with cranberries”. If you are like me and can’t find it at your local market or health food store, fear not, you can order it from their website. I think one of their assorted boxes is in my future.